Often enough when interviewing, the recording microphone got placed too far from the source; or the grand piano turns out muddy because too much reverb was recorded. In these situations, proximity:EQ+ lets you draw the voice significantly closer and give the muddy piano a crisper sound in postproduction. Of course it is also possible that the microphones ended up getting too close to the sound source. Your mix then lacks spaciousness. 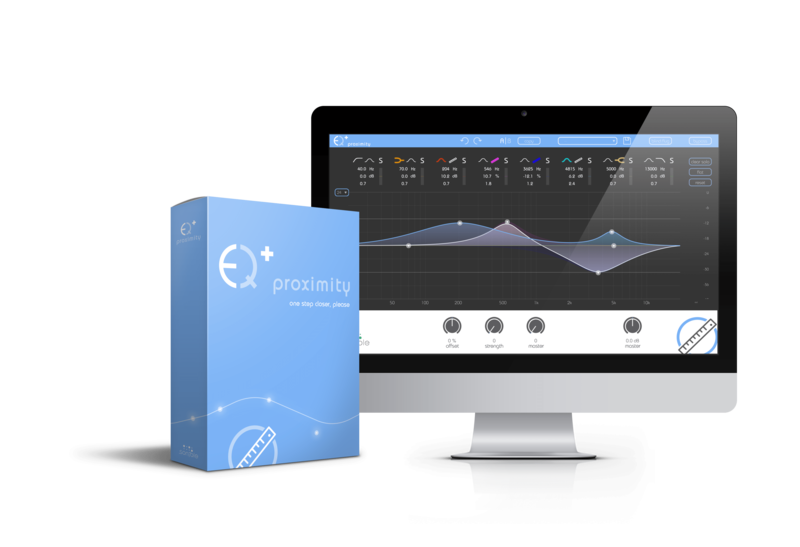 proximity:EQ+ seamlessly distances the sound source without affecting its original character. This makes your entire mix more transparent and opens new ways of creating sonic depth. Even when you meticulously plan a setup and perfectly position the microphones – the acoustics of a given room simply are what they are. The sophisticated technology of proximity:EQ+ opens entirely new possibilities for amending detrimental room modes in post-production while leaving the direct sound entirely untouched.